Do you know a little person who just loves to Bang! Shake! & Shout!? Is your family passionate about using music and movement as a way to further social justice endeavors? Do you want to share yours and learn about others' culture and make new friends? Do you love to be creative and expressive, while having FUN? Then get in the circle!! Class sessions involve open play/mingling time, singing, dancing, storytelling, games & drumming activities with a culminating community celebration/potluck day at the end of the season's session. 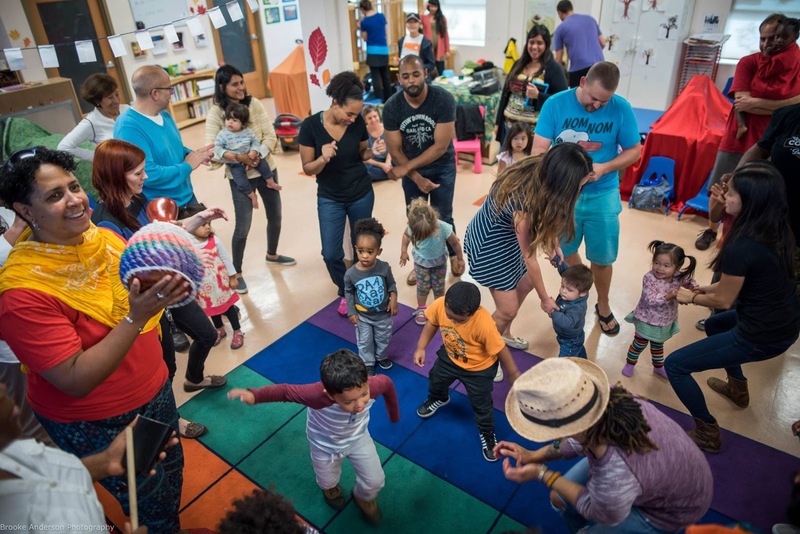 Tyke Tunes for POC (by BoomShake Music) is music and movement sharing, play, and education classes for children 0-7 years old and the adults that they bring with them. We work together to build and share a repertoire of music, songs, dance, and stories from the ancestral cultures and languages of participants and facilitators. In the past we've had songs/games in Chinese, Igbo, Korean, Hindi, Amharic, Spanish, Farsi & more! We look forward to discovering and learning with you. Drum & Song for POC Kids! Tyke Tunes II: 5yrs & UpFor young people who want to take over the streets, build community, dig deep into rhythm and drum technique, sing, move, and get LOUD! Participants have the chance to try out a variety of drums and percussion instruments, learn and share songs and make new friends. Tyke Tunes II for POC (by BoomShake Music) is drum, rhythm and song sharing, play, and education classes for children ages 5 & up and the adults that they bring with them. Important note: our classes are geared towards people who identify as, and/or have child(ren) of color and allies who understand and embody this value. We are prioritizing the participation of families of color, especially Black and Brown Families, and this includes POC who are low-income, or have other accessibility needs/considerations. *With the support of our program partner Lotus Bloom and funds from higher-end sliding scale payments from individuals we work to support discounted, payment plans, and scholarships for self-identified low-income people of color. Please email boomshakemusic@gmail.com if you need any of these payment considerations.